CarePoint vet insulin syringes and pen needles offer supreme comfort for your diabetic pet. 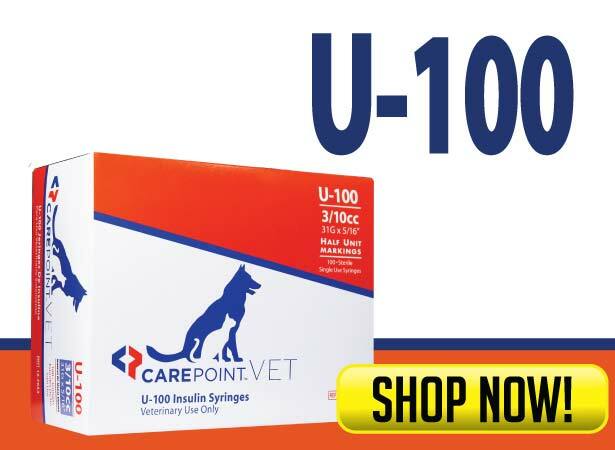 The syringes are offered in both U-40 and U-100 sizes and 3/10cc, 1/2cc, 1nd 1cc capacities to accommodate every kind of insulin currently being used to treat pets with diabetes. 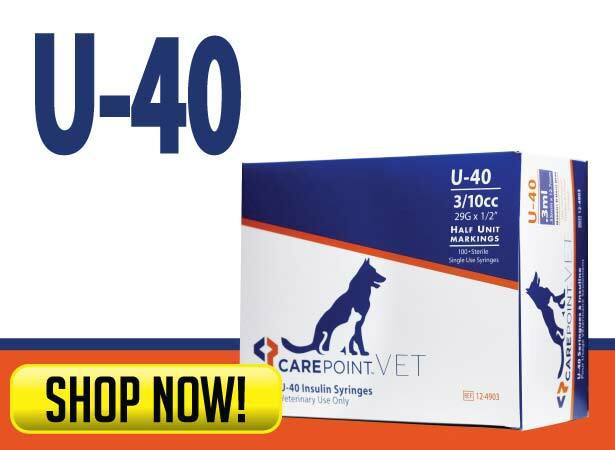 CarePoint Vet syringes and needles offer specially lubricated needles that are designed to offer a comfortable injection experience. These needles are available in a wide range of gauges and lengths allowing you the ability to choose the best syringe and needle possible to administer insulin for your pet. First-time buyers of the CarePoint Vet Syringes or Pen Needles must submit a completed Doctors Order Form (DOF) with their order. To expedite this process, please click this link so you can obtain the needed information and signature from your veterinarian so we can prepare your order for shipping.